As a result of unreasoned decisions of the Soviet Headquaters soviet forces experienced a considerable failure in the military operations in May – June of 1942 in Crimea, in the Voronezh sector, and in Donbass, where all the reserves of the south of the country were used up. The forces of Verrmaht intercept the initiative. German fascist forces expanded the advance against the weakened armies of Bryansk, once again formed Voronezh, South-West and South battle-fronts, broke through their defense and by the middle of July threw the soviet forces back behind the river Don from Voronezh to stanitsa Kletskaya, and from the town Surovikino to the city of Rosto-on-Don. 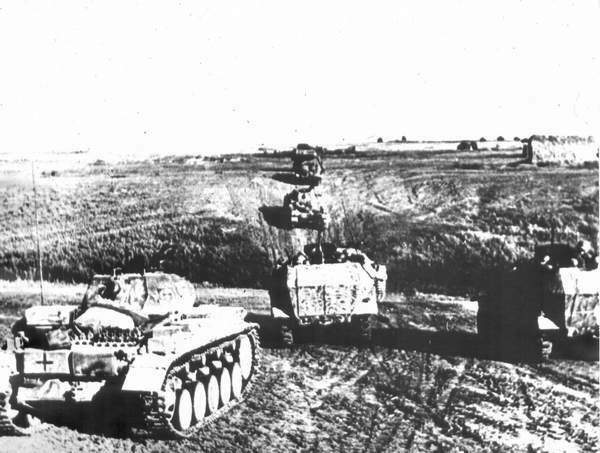 The group of “A” armies, (commander field marshal V. List) together with the 4th tank army from the group “B”, joined on the 13th of July, was assigned to the Caucasus direction, and the 6th field army – a part of the group “B” (commander general colonel M. von Veikhs) – was sent to Stalingrad for providing the left wing of the advance. The headquarters of Verrmaht was absolutely convinced that the capture of this essential strategic point would be easy, because they thought that there were insignificant forces of the soviet armies on the way of the 6th field army. Having the necessary battle experience and strongly holding the initiative the forces of Verrmaht were advancing. The 6th field army was considered to be one of the best in the German land forces, its soldiers were inspired by the success in the East battle-front and they felt quite comfortable in the atmosphere of the overpowering superiority of the fascists aviation in the air. Especially for the Stalingrad direction the Soviet Headquaters provided 62nd, 63rd and 64th armies out of its reserve. On the 12th of July the Stalingrad battle-front was formed (the commander – marshal S. Timoshenko, and since 23rd of July – general-lieutenant V. Gordov). The battle-front also included small 21st, 28th, 38th and 57th common army and the 8th air force army of the ex-South-West battle-front, and from the 30th of July 51st army of the North-Caucasus was joined as well. In reserve there were left 57th, 38th and 28th armies, on the basis of which were formed the 1st and the 4th tank divisions. The Volzhskii naval fleet was in the subordinance of the commander of the battle-front. 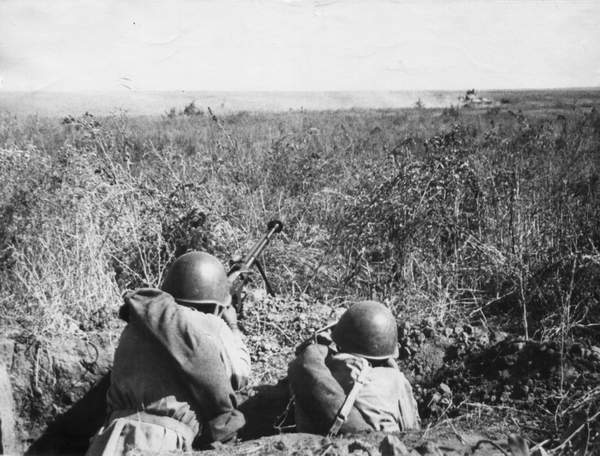 The objective of the Stalingrad battle-front was to stop the further advance of the enemy, keeping the defense on the line of 520 km. 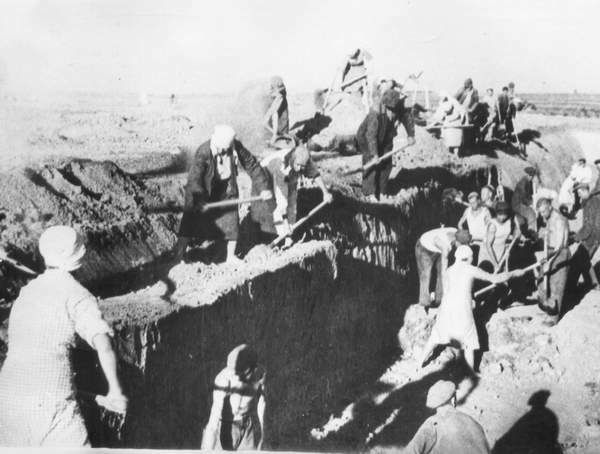 The citizens of Stalingrad and the regions provided a significant support in forming the defense line in the far and close avenues of approach to Stalingrad. 50 thousand Stalingraders were fighting in the Territorial Army, 250 thousand participated in the construction of the defense lines of 2800 km long. Four defense contours were created at the approaches to the city: the outside one, the middle one, the inside one and the urban one. By the beginning of the battle they weren’t fully equipped, but still performed a vital part in the course of the military actions. The major efforts of the Stalingrad battle-front were concentrated in the big scroll of the river Don, where the positioned reserve 62nd and 64th armies had the task of protecting the river from the forced crossing of the enemy and its break through to Stalingrad. Coming from afar, the forces of the Stalingrad front were hurriedly taking their defense stand at the poorly equipped or unprepared lines, putting themselves under the attack of the aviation and the front divisions of the German fascist forces. As a rule man staff of the reserve didn’t have much experience. The equipment of the anti-tank artillery and flak appeared to be rather low and the German fascist aviation was striking at the places of concentration of the soviet armies, making them suffer great losses in men, armaments and military materiel.